For nearly four decades, David Pollock has practiced family law to help individuals and families as they go through tough times. 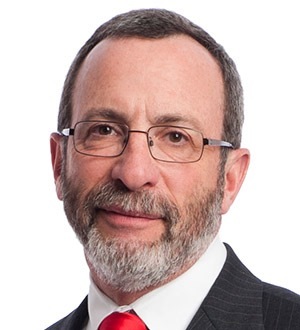 He is a founding member of Pollock Begg Komar Glasser & Vertz LLC and was previously a partner and head of the Matrimonial Law Group at Reed Smith LLP. David focuses on the economics of pre-marital agreements, separation, divorce, or unmarried partners, estate planning, business and family succession planning, equitable distribution, support, and alimony. He works with both traditional divorces and large cases that require complex business valuation, framing of assets, net disposable income, taxation, and all aspects of complicated financial matters involved in such cases. David sees the roots of his desire to practice law in his family's history of helping people. His father was a general practice physician and his mother was a social worker whose focus included marriage issues. He learned from them the value of taking care of individual people and families. He began his legal career doing civil trial work, which led to divorce work in the Family Divisions and Domestic Relations Sections of Western Pennsylvania. The enjoyment of family law stayed with him as he founded a law practice, then practiced at Reed Smith, and as he founded Pollock Begg Komar Glasser LLC in 2001. In his spare time, David is very social and active and can often be found participating at Temple Sinai, the Jewish Community Center, around his neighborhood and in the community in a variety of volunteer activities. He and his wife, who retired from a nearly 40-year career, enjoy travel and frequently coordinate trips with family law conventions and conferences around the United States and Europe. They also frequently travel to New York to be with their two sons, daughters-in-law, and two granddaughters. David admired his father's 50-year career as a small town general practice physician and his uncle, who worked as a merchant for 50 years before retiring to pursue all his pent-up interests, attending the Community College of Allegheny County from age 65 to 90 to become the first recipient of the Exceptional Student Award and was one of the CCAC Boyce Campus Dean's advisors. He became a well-known painter, and created, nurtured, and fostered many community programs still active today. He taught David that family comes before anything else in the world.